Let your employees know what the Toilet Rules are to help keep an orderly bathroom in the workplace. 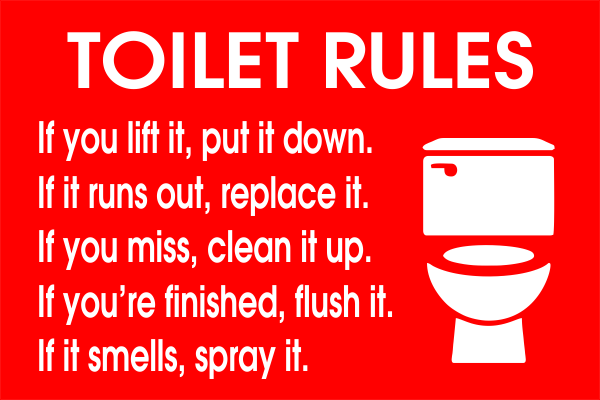 Mount this 8" x 12" engraved plastic sign in your workplace restrooms to remind your employees to keep the bathroom clean after use by following the simple Toilet Rules. Choice of rounded corners or beveled edges. Choose your backing for easy hanging. Order today. Most orders ship within 24 hours.